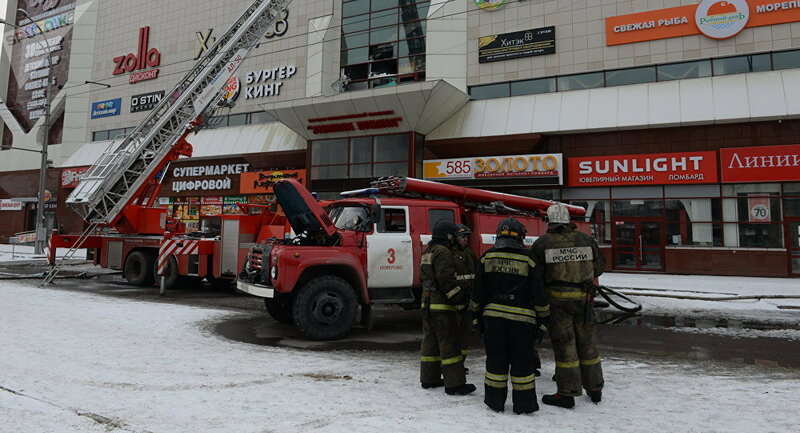 Employees of the “Winter Cherry” shopping center, which caught fire on March 25, in the Russian city of Kemerovo have reportedly lied to young men who tried to save children. “I saw young men pulling children out. My boyfriend was in a state of shock. They tried to enter the cinema hall, but the employees of the “Winter Cherry” told us there were no kids. The guys were doing it on their last breath, holding their noses [not to get poisoned from gas]. But it turned out there were children. They lied to us, they could have saved the kids!” the witness told RT. Most recently, the Russian Investigative Committee confirmed the death of 64 people. The official cause of the fire has yet to be determined.